Michael Martinez, sculptor, inventor, and martial artist, didn't start out to redesign the tactical knife, but he explains, "In my edged weapons training, I kept noticing how many knives didn't feel right, didn't have a grip that gave both control and comfort in the four fundamental tactical grips." Today's tactical fixed blade knives still resemble the first Bronze Age daggers of 4000 years ago, especially in their handle design. Michael Martinez, sculptor, inventor, and martial artist, didn't start out to redesign the fixed blade, but he explains, "In my edged weapons training, I kept noticing how many knives didn't feel right, didn't have a grip that gave both control and comfort in the four fundamental tactical grips." Michael's design firm, Group Design, Inc., reached out to a team of medical specialists for the answer. Their Ultima™ achieves 22 out of 23 ideal contact points with its unique patent-pending handle. The injection-molded black glass filled nylon scales feature over 70 triangular grip segments, separated by sipes, or "ooze grooves" which channel away water, mud and oil. Horizontal grooves are placed under the fingertips for optimum feel. Because tactical knives are inevitably used as pry bars, Michael's team created a pry tip as an extension of the blade tang. This smaller Ultima, model 2125KV, features a 4.95" full-tang blade of 1.4116 stainless steel with a black titanium nitride coating. It comes with our exclusive patented* Veff™ Serrations. 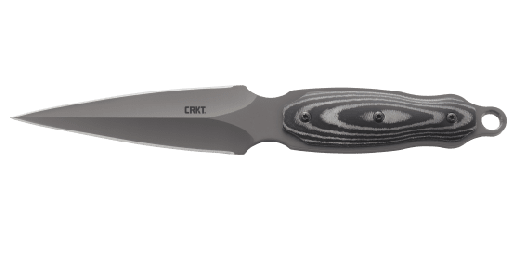 Developed by Oregon City, Oregon, knife designer Tom Veff, these serrations are wide and angled at 60 degrees to the edge. 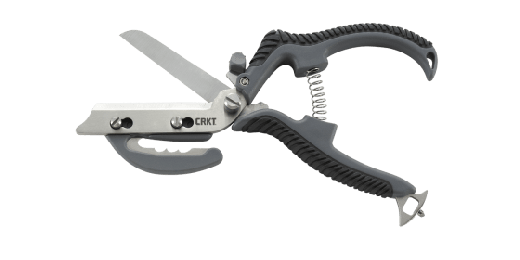 The resulting cutting points bite instantly and dig deep upon contact, slicing smoothly and effortlessly. They give dramatically improved cutting ability on rope, webbing, strapping, hoses and leather. Tactical Sheath. The Ultima's custom black high-strength nylon fabric/glass filled nylon sheath has an injection-molded liner. Dual belt loops are Velcro® adjustable. 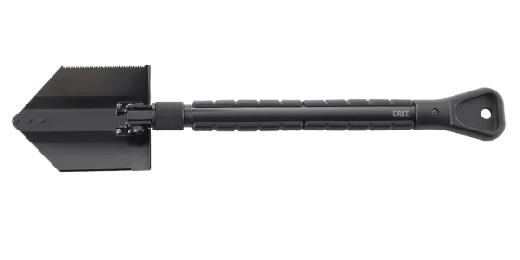 For maximum versatility, there are ample grommets with a length of 550 paracord included, an adjustable leg strap, plus a slotted sheath back that can mount on MOLLE gear. Removable security handle straps with snaps give access and security. A utility pocket with a Fastex™ buckle will carry a variety of folding knives, multipurpose tools or sharpeners. After 4,000 years of scientific progress, the only thing the Ultima shares with its bronze ancestors is its role in the mission. Art meets science in the Martinez family. A noted sculptor and former student of R.C. 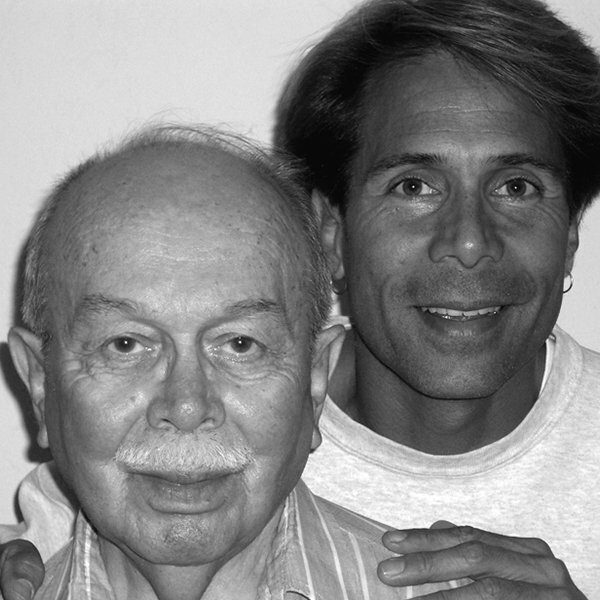 Gorman, Michael specializes in large-scale bronze casting. His father, Baltazar, worked for the defense department for more than 30 years and taught Math for Engineering Design at MIT. Sadly, Baltazar has since passed. 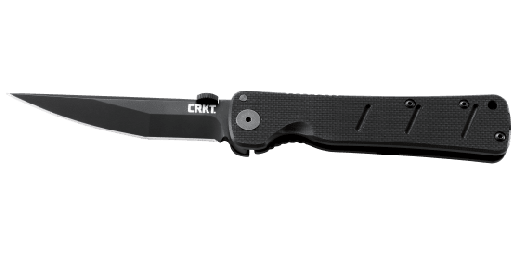 Together, they were like the yin and the yang of design, successfully combining form and function with great designs that live on in tribute like the CRKT® Ultima™.